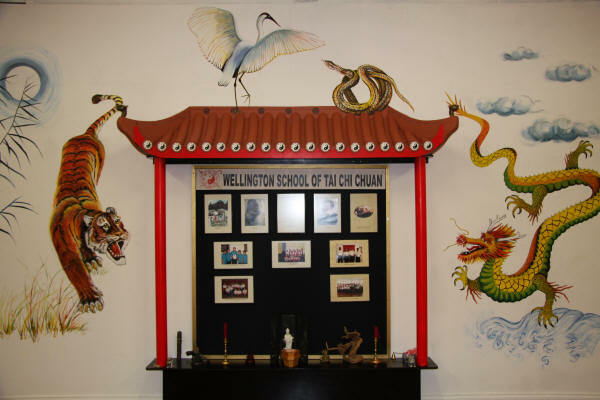 The Wellington School of Tai Chi Chuan was established by Hennie Barnard on 1 August 2001 after continuous request by his students to take them to a higher level in their Tai Chi. At that time he was teaching Tai Chi at four different colleges through the community and Adult Education Programmes of Wellington New Zealand. The first two years of the school's existence, classes were held at two different town halls and one school hall. After considerable searching Hennie and Hettie found premises for the school in the central business area of Hutt City (greater Wellington Area). All members got together and with a great combined effort repainted and redecorated the school. After two weeks the school was officially opened on the 1 August 2003 by Mr Glen Keith, President of the New Zealand Chinese Martial Arts and International Wu Shu Council. The school offers classes on nine different levels which include weapons namely the sword, walking stick, short staff, fan and saber. Other classes and activities include meditation and stress relief, Qi Gong, Tai Chi for Arthritis, Back Pain, Senior Citizens and Tai Chi for Children. The school concentrates mainly on Yang Style.